Little tykes love to explore things with their fingers, toes and mouths. This is why it is so important to make sure that baby’s toys are completely baby safe. 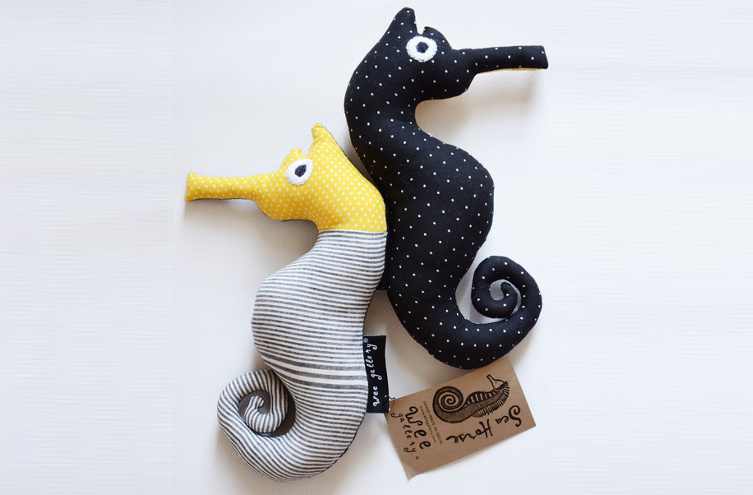 These Yellow Handmade Seahorse dolls are created with engaging black and white hand-drawn graphics to keep newborns’ eyes engaged and happy as they learn to explore the world. 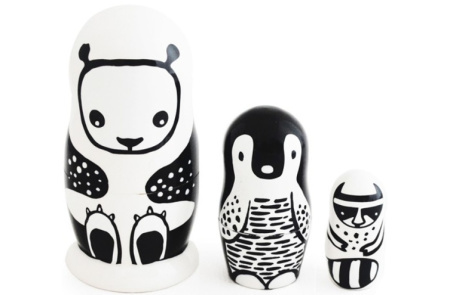 Surya’s other adorable patterned toys include foxes, penguins, monkeys and more, each lovingly hand designed with recycled paper and non-toxic inks.